Run flat tires have been around since the mid-1980s and have steadily been gaining popularity. Some auto manufacturers are even making them standard on new vehicles, and many consumers are considering investing in run flat tires as upgrades to their current vehicles. 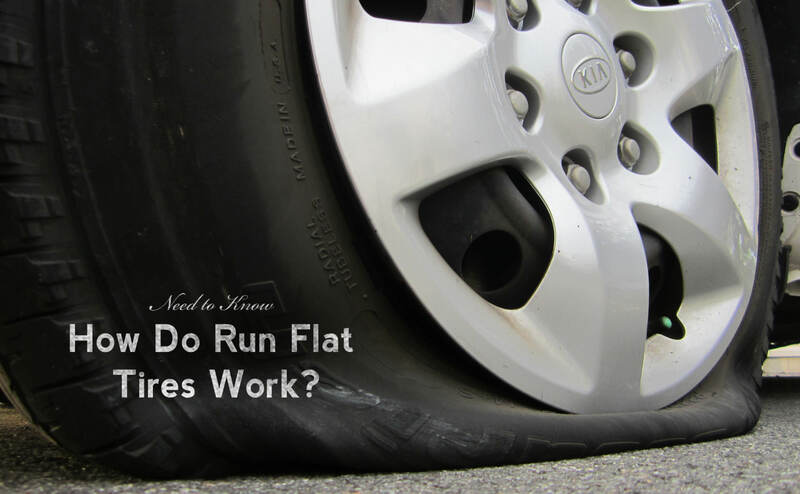 Before making a decision on if run flats are right for you, it’s important to fully understand the advantages of run flat tires, how to use them, and for which vehicles they are appropriate. Simply put, run flat tires are tires that will continue to work after they have received a puncture and lost pressure. As run flats enable you to keep driving for a short period after a puncture, you will be able to drive to an auto shop or find a safe place to change the wheel. Run flat tires aren’t designed to be driven on indefinitely after receiving a puncture. Always check the manufacturer’s recommendations on how far and how fast you can drive on a run flat after receiving a puncture. For example, Bridgestone run flats are designed to be driven on for no more than 80km after a puncture and to not exceed speeds of 80 km/h. How Do Run Flats Work? There are two different types of run flat tires: the self-supporting system and the support ring system. 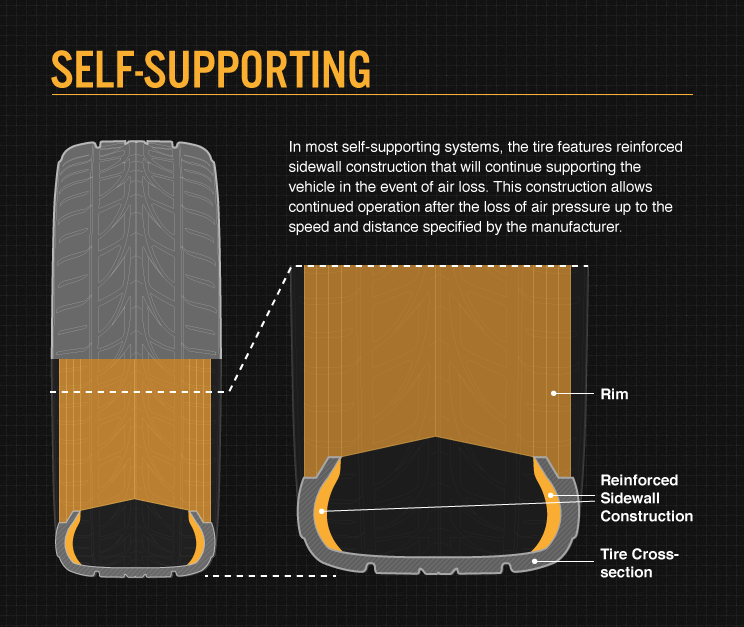 Self-supporting tire systems involve heavily reinforced sidewalls that will support a vehicle’s weight in the event of pressure loss. When the tire loses air pressure, the weight is transferred to the strong sidewalls of the tire. 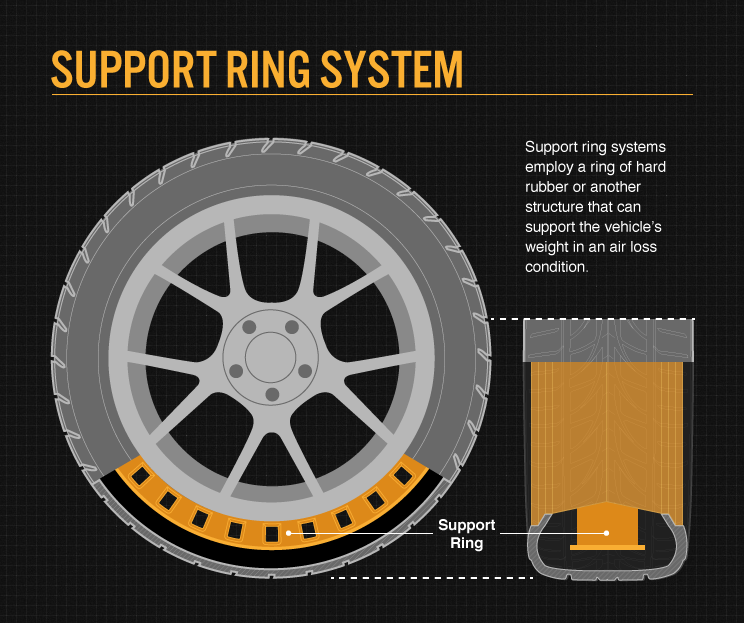 Support ring systems use a ring of dense rubber that wraps around the interior of the tire. This ring of rubber is what supports the weight of your vehicle when air pressure is lost. Only vehicles equipped with an electronic Tire Pressure Monitoring System (TPMS) can be fitted with run flat tires. The TPMS will alert you when one of your tires has lost pressure, and you must change the tire as soon as possible. Without a TPMS, you might not notice that a tire has lost pressure and that you are driving around on an un-inflated tire. Run flat tires give the driver the freedom to change the tire at a location of their choosing – whether that is the closest auto shop, or the nearest level pullout. Conventional tires force you to change the tire exactly where the puncture occurs, which could be dangerous, or have your car towed, which could be expensive. As run flat tires are designed to support your vehicle in the event of an air pressure loss situation, they are much more stable during a puncture. Conventional tires may cause you to lose control of your vehicle during a puncture, while run flats will give you a better chance of staying in control. Driver and occupant safety is consistently rated high on the list of features that consumers look for in a new vehicle. Due to the numerous safety benefits of run flat tires, it makes sense that their popularity will only continue to grow. Interconnected technologies like TPMS are also becoming more common, meaning that run flats may soon outnumber conventional tires in new vehicles.